Northside Pawn address, phone, website, hours of operation, and more. 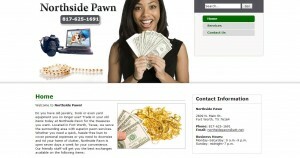 Located in Fort Worth, Texas, we serve the surrounding area with superior pawn services. Whether you need a quick, hassle-free loan to cover personal expenses or you need to downsize and rid your home of clutter, Northside Pawn is open seven days a week for your convenience.